If you’ve had a frozen yogurt treat, then you’ll understand why it’s loved by all ages. Come celebrate National Frozen Yogurt Day by visiting a Tampa Bay Area FROYO spot to get your sweet treat for free or at a really good discount. While you’re checking out our list, make sure to Sign Up to receive our weekly weekend newsletter to get deals, and free & cheap things to do in the Tampa Bay Area, right in your mail box. 1. 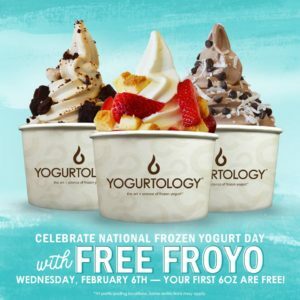 Yogurtology is celebrating National Frozen Yogurt Day in the sweetest way! Come by to receive your first 6oz FREE – ALL DAY on Wednesday, February 6th. See their Social Media page for more information. 2. Menchies is offering a Buy One Get One FREE offer on Wednesday, February 6th. Buy one of equal or less value at participating Menchies locations. 3. Something BIG is coming! 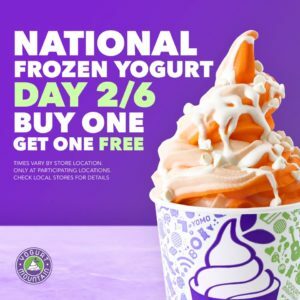 Buy one get one FREE frozen yogurt at Yogurt Mountain for National Frozen Yogurt Day on February 6th. They have a Clearwater location, Carrollwood and Lakeland. 4. 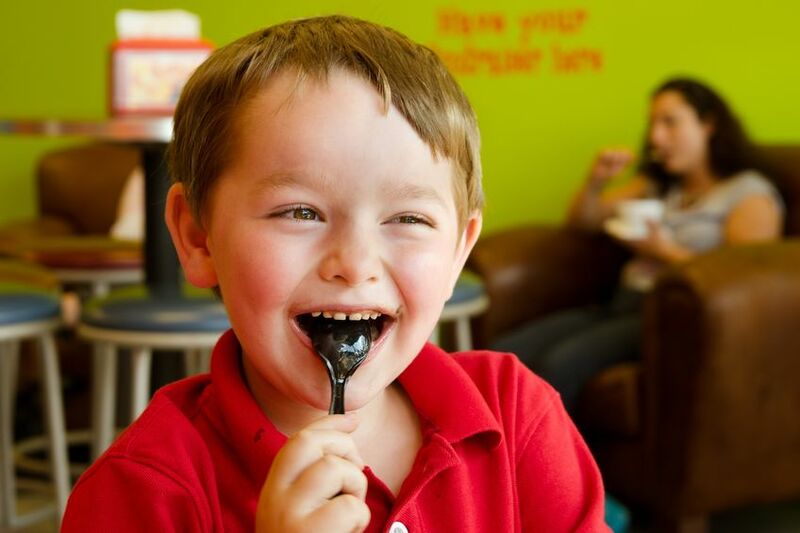 Celebrate National Froyo Day at Happy Cow Frozen Yogurt in Wesley Chapel & Zephyrhills! 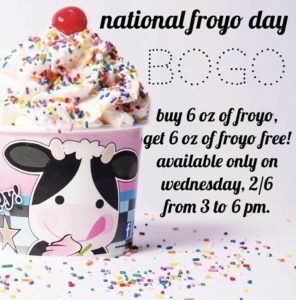 Visit on Wednesday, February 6th from 3:00 PM to 6:00 PM and buy a 6oz froyo and get 6oz of froyo for free. 6. Visit La’Berry Frozen Yogurt & Ice Cream Cafe has not made an offer yet. Please see their Facebook page for updates on FROYO day offer at their location on 20304 Trout Creek Drive (Next to Burger 21 on BBD)Tampa, Florida 33647. 7. We are awaiting Sweet Frog to see what they will offer for National FROYO Day. Looking for more? Sign Up to receive our weekly newsletter to get free & cheap things to do in the Tampa Bay Area, right in your mail box.